Take some inspiration from the season itself and try out one of these shades for a fresh look. Here are six of our favorite fall front door colors. As temperatures drop and pool parties are replaced with bonfires and hoodies, fall never fails to usher in a beautiful combination of shades just before the leaves begin to fall. 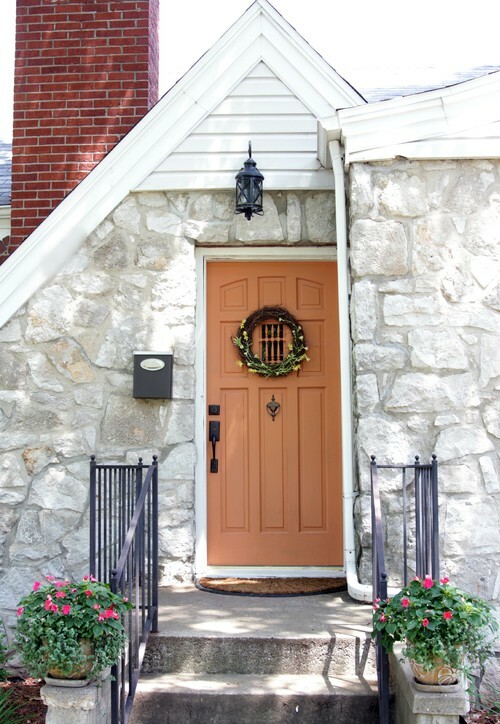 The lack of humidity and mild temperatures make it the perfect time of year to paint your front door. Before winter takes claim, why not take inspiration from the season itself and try out one of these shades for a fresh look? 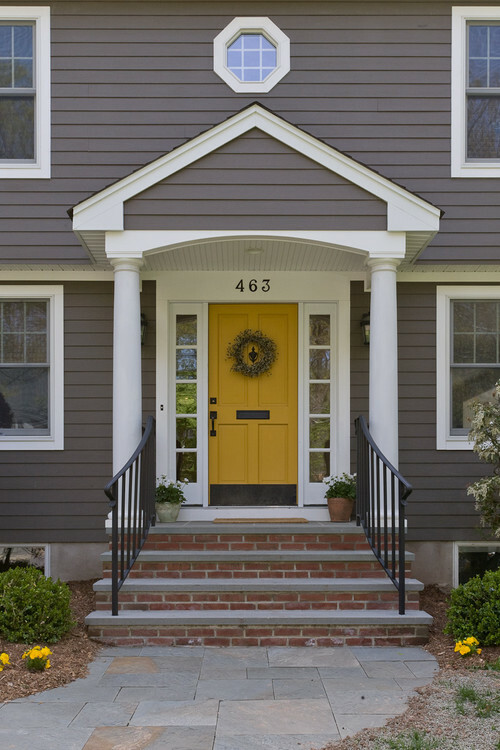 Here are six of our favorite fall front door colors. Yellow is always associated with bright, cheerful feelings. Why not add a splash of cheer before the gloomy days of winter hits? Let your bold choice shine even more by pairing your new front door with a Matte Black handleset. If you prefer a more rustic vibe for your home, try the next shade of yellow just before it gives way to orange with a more mustard tone. Aged Bronze handlesets and accessories perfectly complement this shade. Orange is the most iconic color of fall. From pumpkins to holiday decor, there's no shortage of variations to this shade. For a look that will last all year long, try a more pastel tone and bring it to life with Matte Black handlesets and light fixtures. If your style is more contemporary, try a bold orange paired with Polished Nickel hardware. Traditional Entry by Springfield Interior Designers & Decorators Heather Freeman Design Co. There's nothing better than a warm, cozy feeling as fall begins to transition to winter. 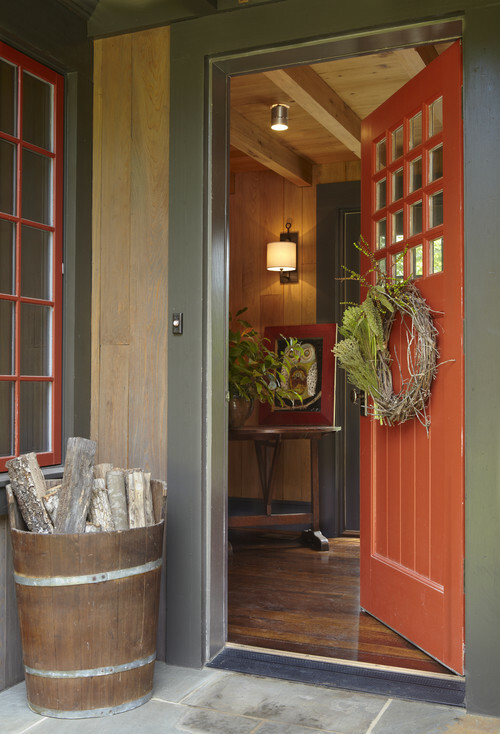 Give your guests a warm welcome this season with this rustic red front door color. Complete the look with our Aged Bronze hardware and accessories. 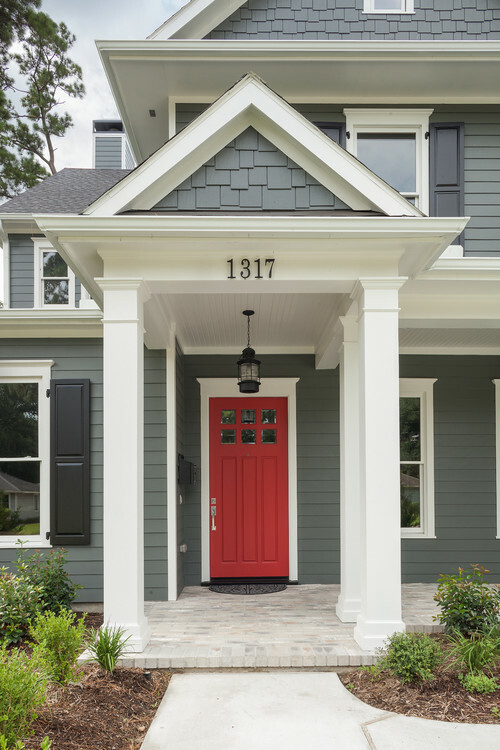 If you prefer to add more excitement to your curb appeal, try a bold shade of red. A Bright Chrome or Polished Nickel handleset will let this color shine even more while matte black fixtures give the look a more transitional than contemporary vibe. This classic shade of red will make your guests feel right at home. This inviting color pairs perfectly with Satin Nickel door hardware for a traditional look that is anything but boring. For a unique touch of warmth and a modern flair, try pairing with Satin Brass hardware instead. 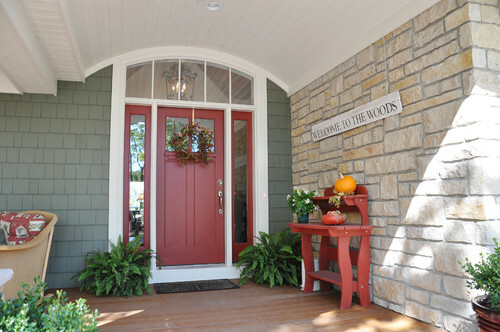 Traditional Porch by Green Bay Design-Build Firms Van's Lumber & Custom Builders, Inc. Which color is your favorite? Join us on Facebook to let us know! 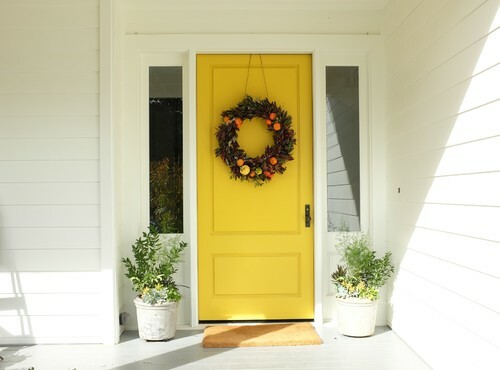 And don't forget to complete your fall front porch look on a dime with these DIY projects.